Whether you want to energize, self-repair, or simply relax, Balance Point provides you with a comprehensive and personalized wellness program to achieve the maximum benefits of massage. The body is intended to self-heal, but factors like lack of sleep, stress, chemical toxins and pain often hinder our ability to rehabilitate. Massage therapy increases circulation, relaxes muscles and invigorates the body, enhancing the body's ability to repair and rejuvenate. Balance Point Massage Therapy Kelowna helps you relax, re-align and rejuvenate from the busy lives we lead on an ongoing basis at an affordable price. Now you can experience the latest in massage therapy which uses a variety of specialized massage techniques to relieve symptoms of multiple conditions such as Back/Neck Pain, Stress and Fatigue, Headaches, Arthritis, Muscle Spasms, Sciatica, Tendinitis, Carpal Tunnel, Shoulder/Knee Injuries, and many more. At Balance Point Kelowna we believe in the power of human touch coupled with the body's ability to heal itself without the need for prescription medication, and offer different massage therapy services to meet your needs. Our massage therapists believe it is important to create a balance which leads to a healthy lifestyle. 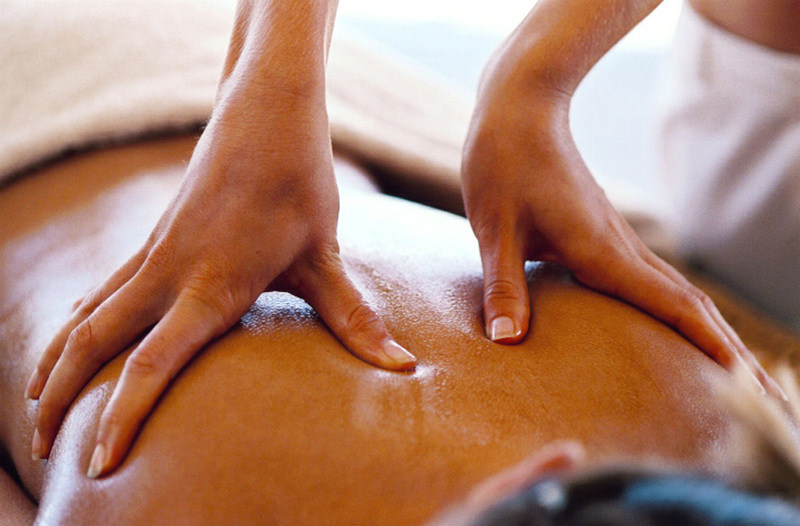 One of the best ways to relieve tension and manage stress is through a massage. We are happy to answer any of your questions, Contact us today for availability or to speak with one of our massage professionals. Deep tissue massage therapy uses deeper pressure and is beneficial in releasing chronic muscle tension. This type of massage addresses the deepest layers of muscle tissue, tendons and fascia (the protective layer surrounding muscles, bones and joints). Recent studies in the Journal of Alternative and Complementary Medicine found that one 45 to 60 minute deep tissue massage lowered blood pressure. Additionally, a 2010 study in the Journal of Clinical Psychiatry revealed that massage modalities such as deep tissue boosted mood and deepened relaxation by triggering the release of oxytocin and serotonin. Deep tissue massage was also found to significantly reduce stress hormone levels such as cortisol. Cranial sacral therapy (also known as craniosacral therapy) is a gentle, yet powerful form of bodywork that adjusts the position and movement of the bones in the head, spinal column and sacrum. The goal is to release compression and reestablish rhythmic movements of the bones of the skull often referred to as primary respiration. This rhythmic movement acts as a pump to circulate cerebrospinal fluid which in turn nourishes and moisturizes the spinal column and brain. Cranial sacral therapy restores the natural alignment of the bones in the skull and can decrease stress, speed healing of chronic injuries as well as give relief from migraine headaches, neck and back pain, temporomandibular joint (TMJ) and more. Kelowna is a very active city. With the seemingly unlimited number of sports and outdoor activities available, sports massage therapy can help athletes from casual to pro by improving performance, increasing circulating and reducing the risk of injury not to mentioned providing the profound sense of relaxation only a massage can give. Sports massage therapy is gaining popularity in Kelowna as a component in a balanced training regimen. Sports massage therapy can be used to reduce recovery time between training sessions. It is also part of pre-event regimes which maximum performance. Kelowna athletes find sports massage promotes flexibility, reduces fatigue, improves endurance, helps prevent injuries and prepares their body and mind for optimal performance. Kelowna athletes find one important benefit of sports massage therapy is its ability to relax muscle-tendon junctions. A 2010 study in the Journal of Strength and Conditioning Research found a 30-second massage improved range of motion in the hip-flexor . A second study conducted by the American College of Sports Medicine, demonstrated a reduction in muscle soreness in the athletes who received massage either before or after exercise. For anyone in Kelowna, or the Okanagan Valley, participating in regular physical activity, regardless of intensity, Sports Massage Therapy is a great addition to your training schedule.